^ Jorgensen 1998, p. 71. ^ Palladino 1996, p. 131. ^ Stanley & Coffey 1998, p. 37. ^ Victor 2008, p. 439. 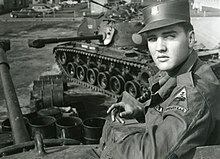 ^ RETURN OF THE KING: WHEN ELVIS LEFT THE ARMY - LIFE.TIME.com（ライフ）.2013年9月10日閲覧. 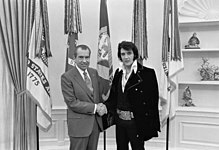 The Elvis Information Network - News, Reviews, Interviews & Articles. Updated daily - An Award winning website. Lauderdale Courts: Historic Home of Elvis 1949-1953History on teenage home and reservation/tour information. Always The King: Elvis fansite in German and English. 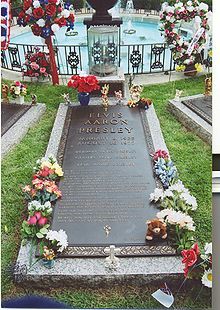 ElvisNews: Updated several times a day, this website gives you a summary of every Elvis-related news around the world. 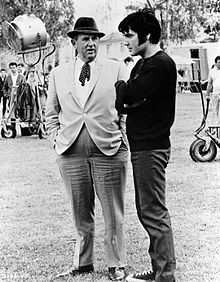 Elvis in Hawaii: Information about the Aloha from Hawaii show（1973） and the Hawaiian movies. 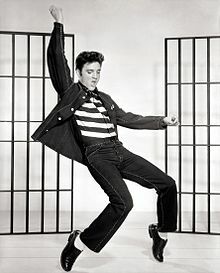 Elvis In Norway: A very good source for news and reviews of new CD releases, both official and bootlegs.